Quick overview The effects of power problems include keyboard lockup, complete data loss, hardware degradation, damaged motherboards, and more, making downtime inevitable. 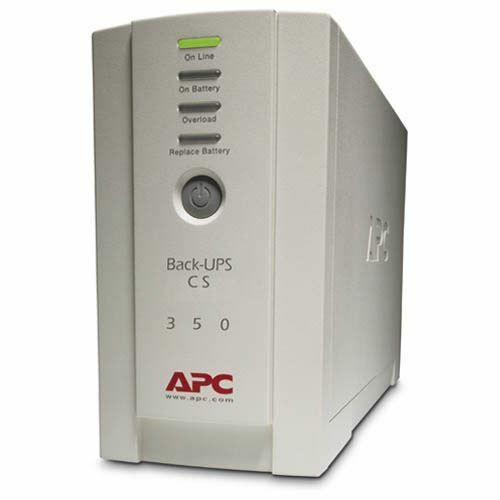 An APC Back-UPS ES 350VA instantly switches your computer to emergency battery backup power and allows you to work through brief power outages or to shut down your system in the event of an extended outage. High-performance surge suppression protects your computer from electrical noise and damaging power surges - even lightning.